A luxuriously kitted out property in a village with great amenities. The Byre is an independent wing of a thatched cottage and guests have their own keys and full access at all times. There is parking for one car on site. It is the perfect place to relax and explore the beautiful county of Wiltshire. On one level, it is a newly renovated, self-contained wing of an 18th century thatched cottage and fits three people very comfortably. An extra bed can be put in the single bedroom - a bit of a squish but manageable. It has been luxuriously fitted out with White Company bed linen, towels, feather duvets and pillows, John Lewis beds and sofas and high quality new furniture. There is free Wi-Fi, a Smart television, parking for one car and a small outside seating area with a table and chairs solely for guests. The accommodation is cosy and as neat as a pin. The Owners, Maggy, Barbara and Bob have been friends for over forty years and decided to buy a house in Pewsey together for their retirement. We are very proud of our beautiful home and garden and offer a very warm welcome to our guests. Maggy and Barbara are classically trained musicians so you might hear the (delightful!!) strains of music wafting around.The Byre is convenient for Marlborough, Bath, Salisbury, the K & A Canal, Stonehenge and Avebury. As Pewsey station is only a few minutes walk away, day trips to London (1 hr) and Bath are easy. The owners, Maggy Lamb, Barbara Dalton and Bob Dalton have been friends for over forty years and decided to buy a house in Pewsey together for their retirement. They are very proud of their beautiful home and garden and offer a very warm welcome to their guests. Maggy and Barbara are classically trained musicians so you might hear the (delightful!!) strains of music wafting around. 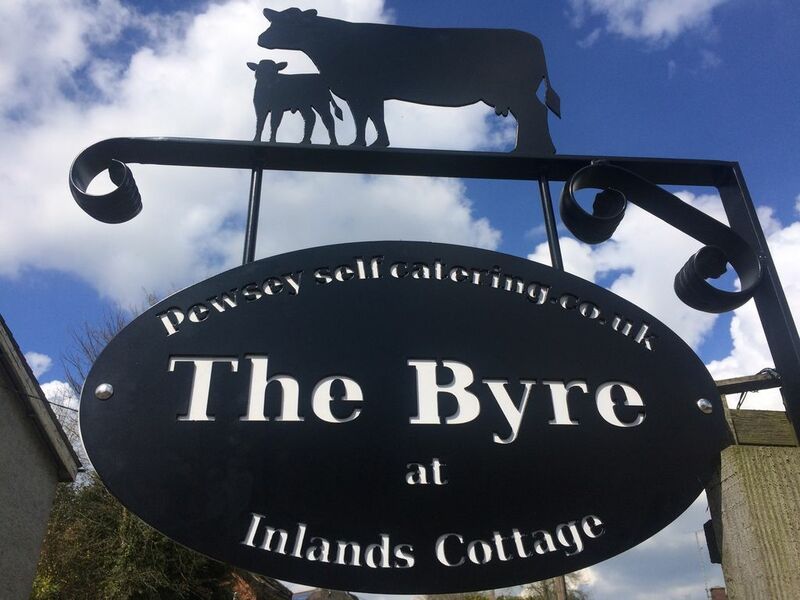 Set in the centre of Pewsey village, The Byre is walking distance to shops and cafes, has a major bus route outside (south to Salisbury and north to Swindon via Marlborough) and a train station. Yet it is private and quiet. The cottage was beautiful and so well decorated, very cosy and cute. We absolutely loved the cottage. This is one of best holiday rentals I have stayed in. It was the middle place for the four of us to meet and we couldn’t have picked better! A stunning cottage with lots of charm. We spent the weekend exploring surrounding villages and going on long walks. We celebrated an early Christmas in the cottage and cooked a fantastic roast, the kitchen might look small but it is perfectly capable of catering for a Christmas feast for four adults. Maggie and Barbara were lovely and welcoming! Would highly recommend this cottage and would definitely stay again, 5 starts! The Byre is a really lovely property in the centre of Pewsey. A fantastically comfy bed with great linen, and lovely artwork. It also has a little are at the front with a parasol, table and chairs which would be great in summer! We, Me and my wife, visit Pewsey with our son and daugther. We loved "the Byre". A beautiful and comfortable home. We special like to thanks Maggy for sending a forgotten backpack afterwards. Super service!